Acid free polypockets in A4 size are available in two formats - landscape which fit into the deluxe A4 Landscape binders and take the newer modern style A4 birth, marriage and death certificates, and the portrait format that fit into deluxe A4 Portrait binders. 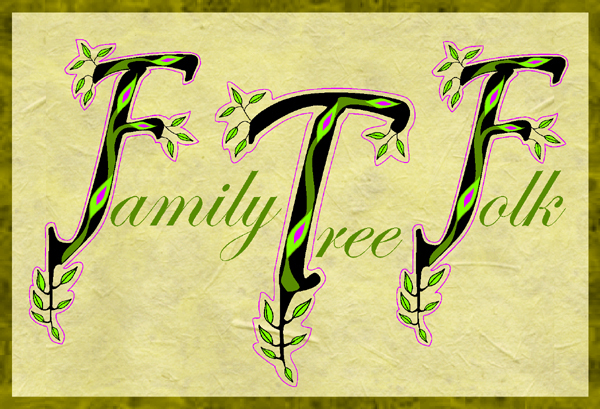 All our pockets are acid free and suitable for storing precious family history documents or photographs and memorabilia. The landscape pockets open at the ring end ensuring complete enclosure and can be accessed without removing the pocket. The standard clear acid free inert polypropylene pockets protect your certificates from dust, handling and deterioration due to contact with acid leaching materials. We recommend using a sheet of A4 acid free card, available card inserts to double the storage capacity of each polypocket, allowing two certificates or documents to be stored back to back. The card, available in white, burgundy, black or in the three BMD colours also stiffens the acid free polypocket and provides extra support for delicate and fragile documents. 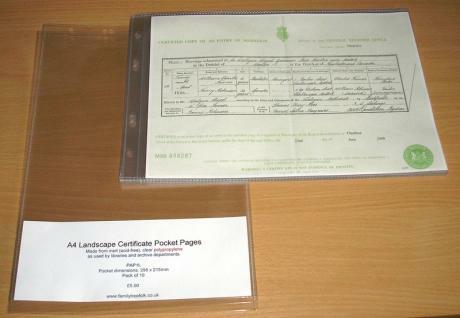 The different formats of pockets provide extra flexibility: the A4 landscape pockets allow certificates to be displayed in the long certificate binders alongside the foolscap pockets. The A4 portrait wallets are for display in A4 portrait binders or ourA3 binders.